The Birds of Prey series celebrates Canada's formidable predators, including the red-tailed hawk, which is found all across Canada. Each .9999 fine Silver coin beautifully showcases these striking creatures. 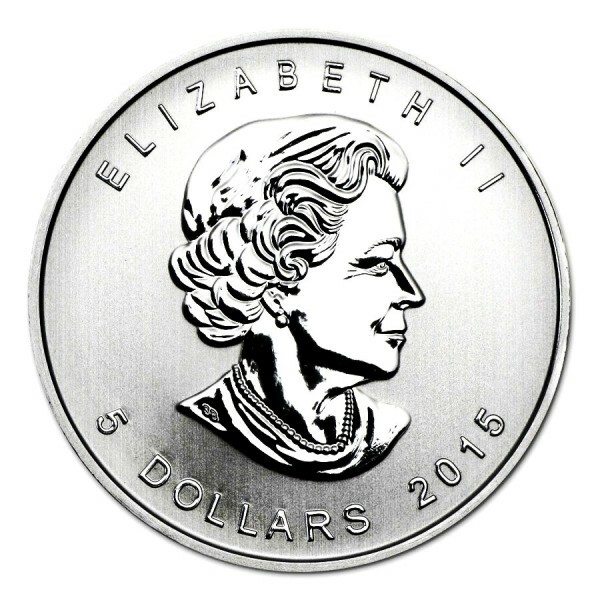 The 2015-dated "Red-Tailed Hawk" is the third installment of the Mint's four-coin, 1 oz., 99.99% pure silver bullion Canadian Birds of Prey series. Its reverse design features a vivid illustration of an agile airborne predator by acclaimed Canadian coin designer and nature illustrator Emily Damstra. 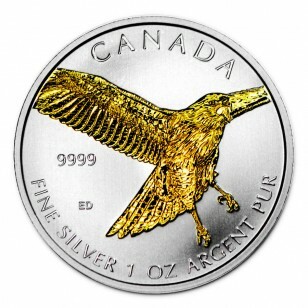 Add this 1 oz Red-Tailed Hawk coin to your cart today! Note: The gold plating of this coin was performed by an experienced third party company.